first cellphone | What happened in…. 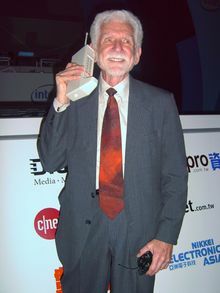 Martin Cooper of Motorola made the first publicized handheld mobile phone call on a prototype DynaTAC model on April 4, 1973. This is a reenactment in 2007.